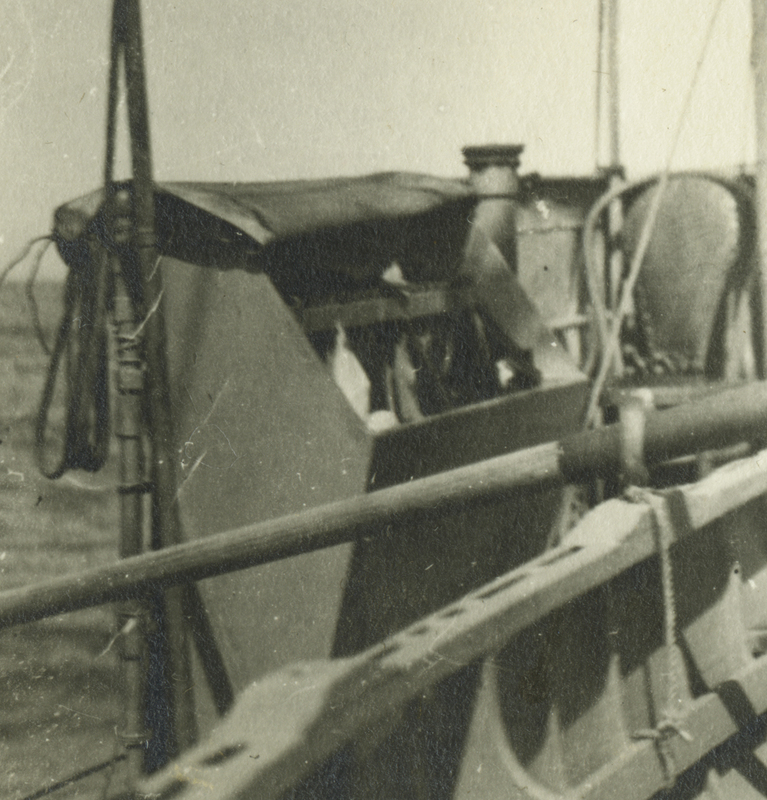 A photograph on board submarine chaser SC 227, and a blow-up of a segment. 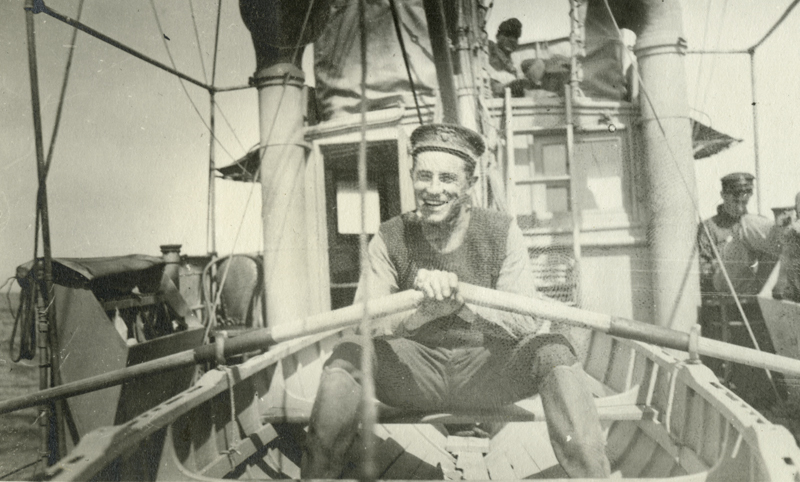 SC 227 officer seated in the wherry. A nice view showing the oarlocks and the structure of the wherry. A close-up of the "flag bag," the signal flag locker. From the collection of George Perley Morse, CO of submarine chaser SC 227. Thanks to E. M. Atwood for submitting the collection to The Subchaser Archives.